Well these are officially my favourite Jeans ever!! 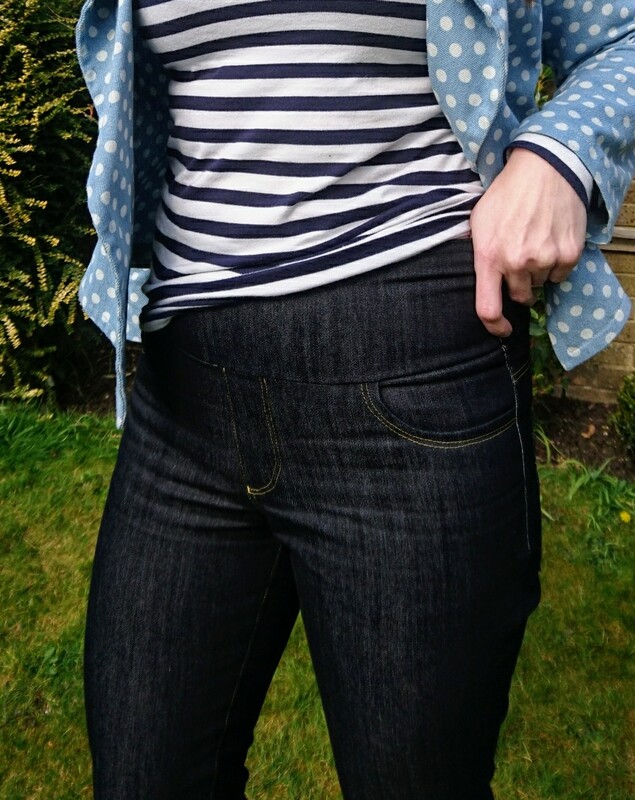 And the best part about them - they hide a little secret that makes them much more comfortable and practical than 'real' jeans.... Keep reading to find out the secret!! 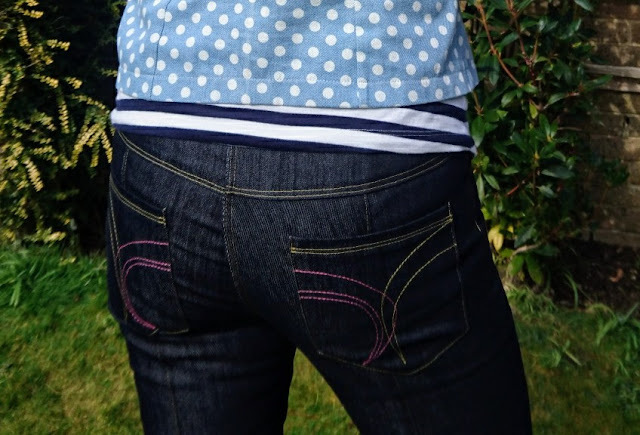 So on the face of it, they look like any other jeans - They're made of denim, there's lots of nice top stitching, and some funky stitching on the back pockets - you can chose your own design for the pockets - I went with this 'two-colour' look, and am really happy with the effect! 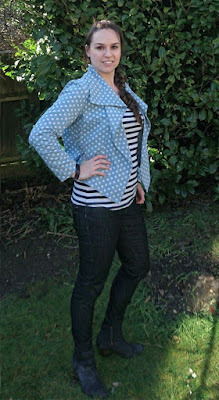 You can also add rivets for a really authentic look, but I was so keen to wear mine, I didn't get round to doing this! LOL! 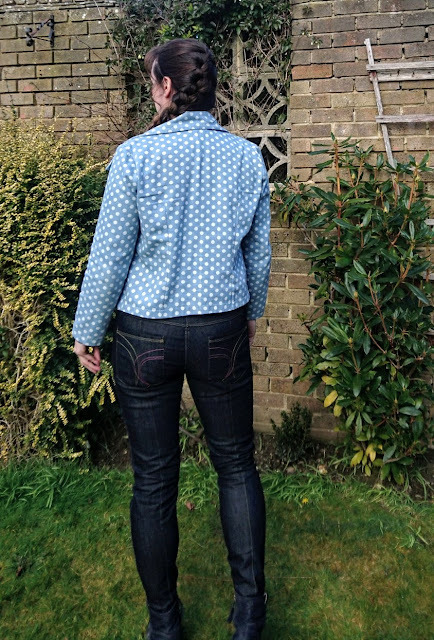 The pattern has pieces for a straight leg jean, but comes with instructions to make a skinny leg version - I made the skinny version, and they were really easy to do, following just a few simple steps. So, here is the big secret....... The fly is faux and there is no button!! The jeans have a nice wide 'pull on' waistband instead - this makes them soooo comfy, and also much quicker to sew - so for anyone who is a little unsure about sewing a traditional pair of jeans, this would be a great place to start! The other great thing about this waistband is it gives great 'tummy support'!! It is really important with this pattern to make sure you use the suggested fabric with the right amount of stretch - you wouldn't want to go to all the effort of sewing them up only for them not to fit! I love the extra detail of the seam down the back of the legs - it makes for both a beautiful shape and a lovely design feature. 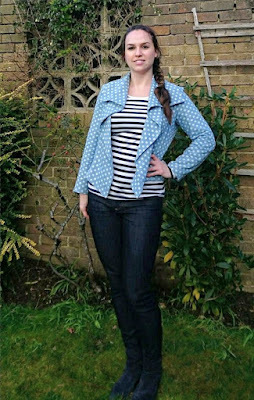 And check out the rest of the Itch to Stitch patterns HERE - there are so many great designs, and they are all beautifully drafted with detailed and easy to follow instructions. 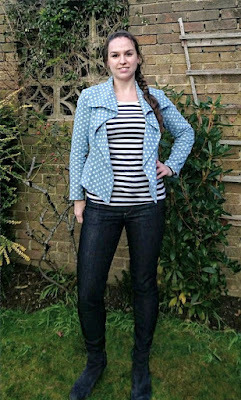 BTW - the jacket I'm wearing in these pictures is also an Itch to Stitch design - I have worn this Hvar Jacket so much since making it! Lovely jeans and I have just bought this pattern but where in the UK did you manage to find the right fabric with enough stretch? Your jeans look great! Thanks for your description of the pattern and how it comes together. 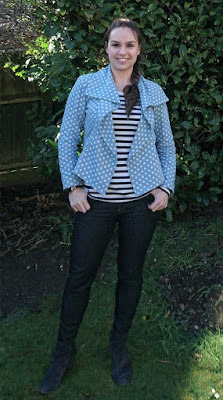 Can you tell me what kind of fabric you used for your Hvar Jacket? Nukkad Talks provides relationship advice, love tips, dating tips which will enhance your love life and relationships.